Yesterday it was interesting to see how to use the Bloc-Loc ruler to square-up the Flying Geese blocks and the half-square triangles. 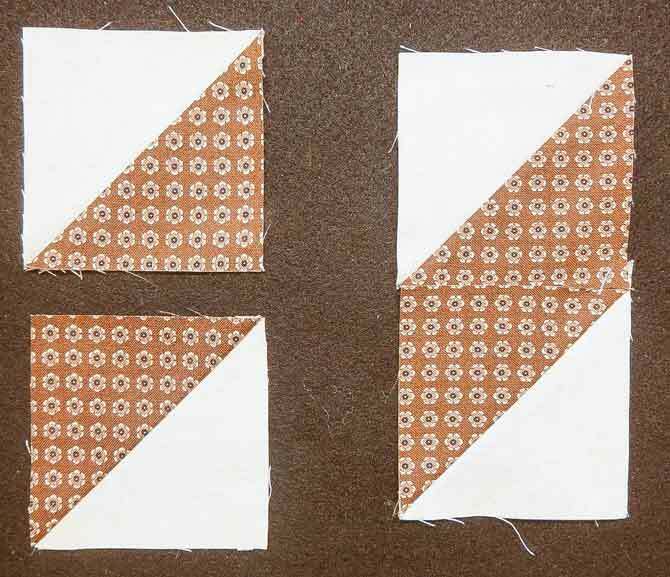 Today we’ll explore 4 ways to use the leftover half-square triangles that were created after trimming the Flying Geese blocks. The triangle units will be relatively small, so they are perfect for small items such as table toppers, table runners and wall quilts. 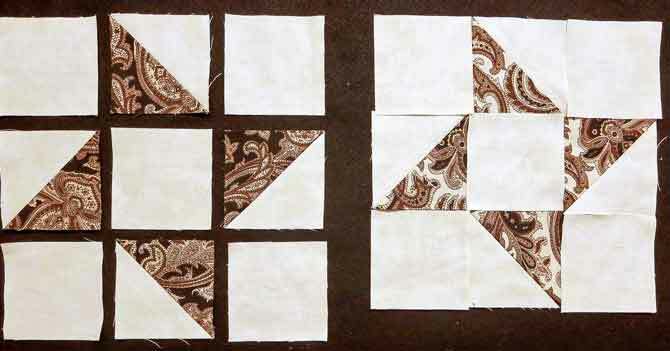 Here are just a few design ideas that I discovered for my 3″ half-square triangles. 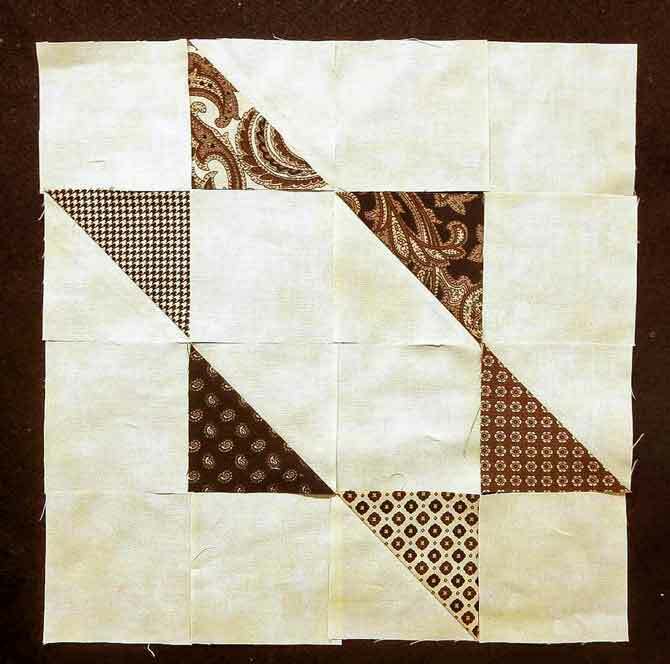 These 4 ways to use the leftover half-square triangles are only but a few of the several creative combinations. You’ll find many other combinations are possible. 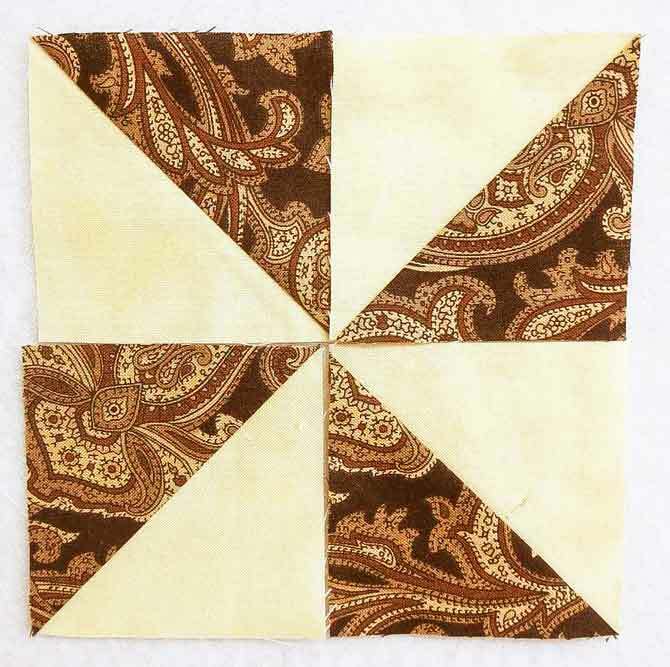 Join me tomorrow to see how I used half-square triangles to make the stunning Friendship Star block. Great ideas… I’m going to dig out some of my orphan blocks and make something with them… Not yet decided what to make first! !